The Old-Fashioned dates back to the 1880s. Between their storied pasts and recognizable recipes, these drinks have a staying power that has made them not only classics, but modern favorites as well. Every cocktail tells a story, but some have developed great mythologies that leave a lasting impression, according to Greg Best, famed mixologist at Atlanta’s Ticonderoga Club. Like any great novel, the most exemplary spirits become classics. “They offer great depth to the cocktail culture,” he says. The recent cocktail revival has bargoers paying homage to these classics, a trend noticed by Jessica Zigman, head bartender at the Forbes Five-Star Georgian Room at Sea Island. However, just because a cocktail is a longtime favorite doesn’t mean it can’t be enhanced.“We still honor the history of these recipes, but we are using the opportunity to showcase our own creativity,” Zigman explains. 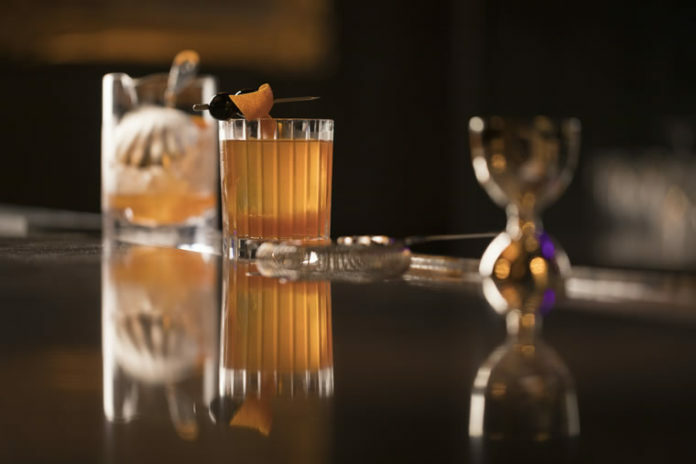 Many of these old-school libations can be enjoyed throughout Sea Island. Here are a few of the best, accompanied by the stories that make them true classics. Sipping a Manhattan is like sliding into a cashmere sweater. The recipe might vary between vintage bar manuals, but its simple construction almost guarantees that it will feel familiar when you take a drink. That’s because the recipe has survived wars, recessions, Prohibition and the Great Depression into modern times somewhat unscathed. Simply put, a Manhattan is made with whiskey, sweet vermouth and bitters, and is served straight up with either a maraschino cherry or an orange twist. 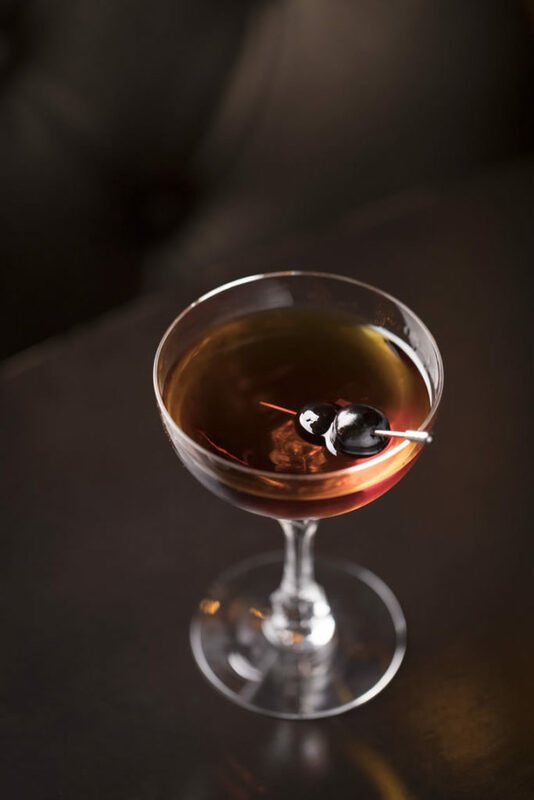 According to legend, the Manhattan was first created at New York’s Manhattan Club in the 1880s. The recipe, which was initially recorded in the 1916 second-edition of Henry Watterson’s “History of the Manhattan Club: A Narrative of the Activities of Half a Century,” called for equal portions of whiskey and vermouth, with a dash of orange bitters. However, that does not mean that the recipe can’t be tinkered with. Through the years, the proportions have evolved and sometimes different ingredients are incorporated. “The Manhattan is one of those cocktails that has so many amazing variations,” Zigman adds. “It has transformed over history.” For example, some recipes call for both sweet and dry vermouth, or swap the maraschino cherry garnish in favor of a splash of maraschino liqueur. The Old-Fashioned is a close relative of the Manhattan: Both are simple in construction and feature whiskey and bitters. Instead of vermouth, an Old-Fashioned is lightly sweetened with basic sugar (usually a sugar cube dissolved in a splash of water, or a simple syrup). While the Manhattan is typically served straight up in a cocktail glass with a maraschino cherry garnish, the Old-Fashioned is served on the rocks in a lowball and garnished with a twist of citrus, typically an orange. The first use of the name Old-Fashioned in reference to a bourbon whiskey cocktail can be traced back to the 1880s and James E. Pepper, a bourbon aficionado who claimed that the drink had been created in his honor by a bartender at a club in Louisville, Kentucky. He later brought the recipe to the Waldorf Astoria hotel in New York City, and it spread like wildfire. In 2017, global cocktail journal Drinks International listed the Old-Fashioned as the No. 1 best-selling cocktail in the world for the third year in a row. One thing that catapulted the recent interest in the Old-Fashioned—at least in the U.S.—was the popularity of the AMC television series “Mad Men.” The show’s protagonist, Don Draper, is often seen mixing an Old-Fashioned in his executive office at the Manhattan advertising firm Sterling Cooper. Louis Dachis, owner of Ace Spirits, a liquor retailer and online shop based in Hopkins, Minnesota, agrees that Draper makes the cocktail look very appealing. Usually, when inspired viewers try the Old-Fashioned, they agree that Draper has good taste. “It’s just a good drink in that it is strong enough for even the most jaded drinker, while sweet enough to be drinkable by someone who would choke on a neat dram,” Dachis says. This uniquely Southern tradition is as refreshing as a light breeze on a sunny day. Just smelling “bourbon whisky mingled with a faint fragrance of mint” on a man’s breath sent “Gone With the Wind” heroine Scarlett O’Hara swooning. The cocktail remains a Southern favorite to this day, earning bragging rights as the official drink of the Kentucky Derby, where 1,000 pounds of fresh mint leaves are muddled, and more than 10,000 bottles of bourbon are poured over 60,000 tons of finely crushed ice to make the nearly 120,000 mint juleps served each year at the historic two-day sporting event. 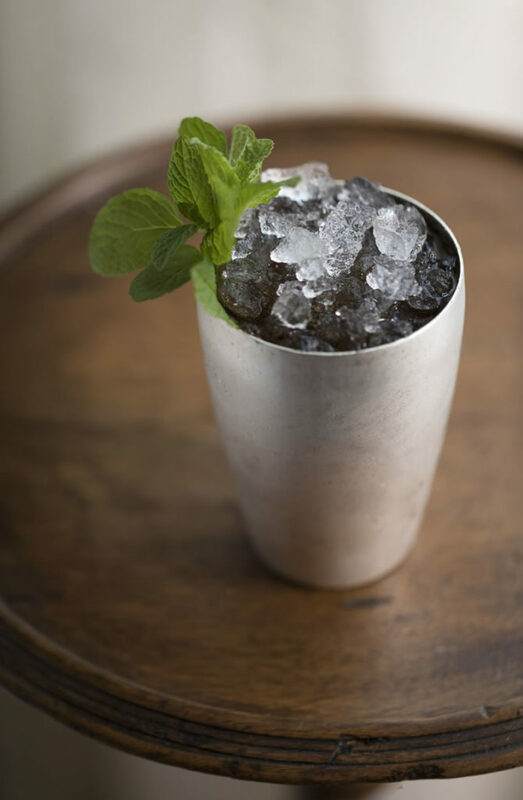 However, the origins of the mint julep are not in the South. The cocktail started with the julab, an Arabian libation infused with rose petals. The Mediterranean version substituted the rose petals for mint leaves. From there, the cocktail spread to the Americas, gaining popularity in the 1850s after Henry Clay, a U.S. senator from Kentucky, introduced the drink to the Round Robin Bar in Washington, D.C.’s Willard InterContinental hotel. The rest, as they say, is history. “There’s a lot of reason to celebrate this cocktail,” Zigman says. For starters, she explains, it evolves as one drinks it, starting off strong and easing up as the ice melts and the bourbon infuses with the mint. Because it’s so refreshing, she adds, it is perfect for sipping while sitting on the porch and taking in the countryside. The legend of the Negroni began in 1919, when Count Camillo Negroni ordered his usual Americano (sweet vermouth, Campari and club soda) at the Café Casoni in Florence, Italy, but asked that his bartender strengthen the cocktail by replacing the soda water with gin. The bartender topped the creation with an orange garnish, rather than the traditional lemon that accompanied the Americano. The result was the Negroni. The Negroni has had a resurgence in recent years due to American palates shifting away from sweeter cocktails like the Cosmopolitan to the more bittersweet notes offered by Campari, Zigman says. 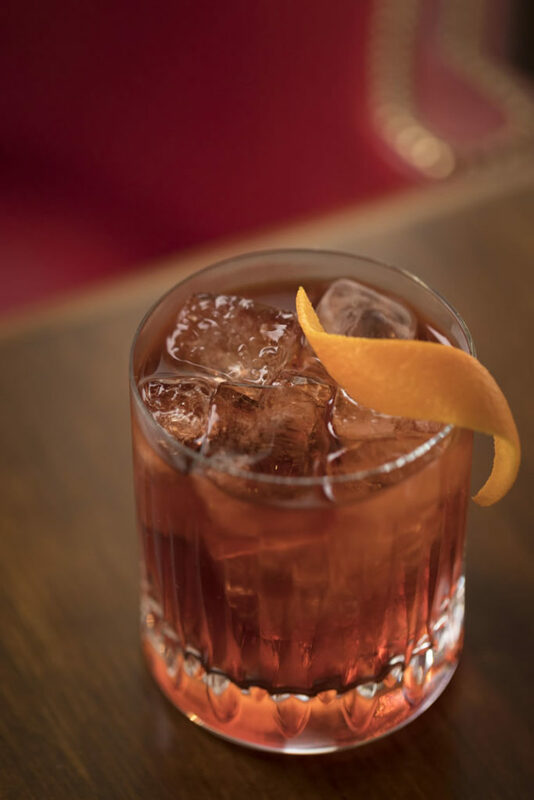 The balanced construction of the Negroni makes it easy to create, with equal parts sweet vermouth, Campari and gin served on the rocks with an orange peel garnish. It, along with its close cousin, the Boulevardier, are among the most popular cocktails ordered at Sea Island, Zigman says. The Boulevardier follows the same recipe as the Negroni, but uses whiskey in place of gin. The interplay between the Campari and vermouth offer a distinct bittersweetness in both the Negroni and the Boulevardier. However, the type of spirit makes the drinks decidedly different. Whereas the gin in the Negroni is clean and crisp, the whiskey in the Boulevardier is rich and intriguing. The New Orleans Fizz was created in 1888 by Henry C. Ramos at the Imperial Cabinet Saloon in New Orleans. There were several other citrus and carbonated water fizzes poured during that time period, but Ramos’ version was different, incorporating orange blossom water and egg whites—two ingredients that were not often included in cocktails. 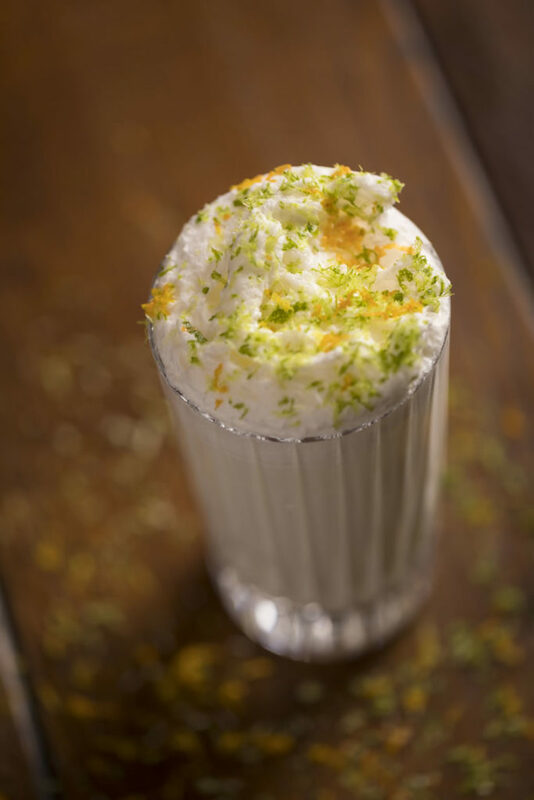 The Ramos Gin Fizz begins with gin and is shaken twice: first, with fresh-squeezed lemon and lime juices, sugar syrup, orange blossom water, vanilla, egg white and cream. Then it is shaken a second time with ice, strained into a chilled glass, topped with club soda and usually garnished with an orange twist. It is important to note that the vigorous, two-part shaking is pivotal to achieving the desirable frothy result. As interest grew throughout New Orleans for this exciting new cocktail, so did the need for more shakers. The Fizz was in such high demand by the 1915 Mardi Gras season, 35 bartenders were employed to make the drinks, writes Stanley Arthur in “Famous New Orleans Drinks and How to Mix ’Em.” The poor souls nearly shook their arms off, he reports, and were still unable to keep up with the demand. If you want to get into a barroom debate, pose the question, “What came first, the martini or the Martinez?” In his acclaimed book “Imbibe,” cocktail historian David Wondrich theorizes that there are two schools of thought on this debate—the Martinez group, who say that the cocktail was created in or around San Francisco and later gave rise to the martini, or the martini group, which gives credit to New York for creating the martini, leading to the creation of the Martinez. Others argue that the drink is derived from the Manhattan. Regardless, its origins are sketchy at best. The most popular theories, however, list the Martinez as the father of the martini, and thus, a worthy mention on a list of classic cocktails. The Martinez dates back to the 1860s and 1870s, when vermouth started becoming a common ingredient in American cocktails. Its recipe calls for gin, sweet or dry vermouth, bitters and maraschino liqueur, though some versions use orange Curaçao liqueur or triple sec instead. It is typically served straight up or on the rocks. 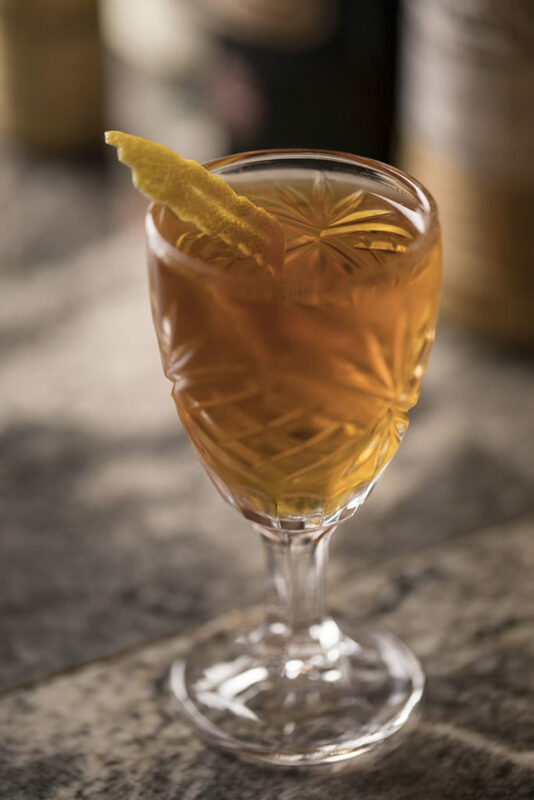 The ratio of vermouth to gin in the Martinez varies according to which bar manual one follows, but like its fellow martini and Manhattan classics, the Martinez is a very personal drink. Variations are embraced, and often the story behind the Martinez becomes more about the bartender’s interpretation.